Women in craft brewing are challenging the stereotype of the brawny brewmaster. Ask someone to imagine a brewmaster and the image that may come to mind is a barrel-chested fellow in overalls, maybe even lederhosen. Brewing is currently seen as a male field, but it wasn’t always this way. What’s believed to be the world’s oldest written recipe is for beer, and it celebrates a female brewmaster. Four-thousand-year-old Mesopotamian clay tablets describe the brewing process in a hymn to Ninkasi, the Sumerian goddess of beer. From ancient Sumeria through medieval Europe, women ruled the kettles. Beer can be described as liquid bread, so there was nothing unusual about women using their baking ingredients to brew in home kitchens. It wasn’t until entrepreneurial women began to sell their beer that men really moved in, restricting the creation and sale of beer to powerful male-only guilds. The consequences of that takeover flow all the way to the pale, tasteless corporate beer of post-prohibition America. The watery beer was brewed by men and sold to them with help from decades of sexist advertising employing tired gender stereotypes and armies of bikini models. But corporate brewers’ best days are behind them, with sales are in decline. The growth is in the craft-beer sector, the smaller, independent brewers who make up only 7 percent of the American market but are growing at a rate of around 10 percent every year. And many brewmasters driving craft beer’s emergence are women. They’re taking a pass on the rigid corporate structures of the large brewers and finding, or creating, opportunities in the freewheeling world of craft beer, where they don’t have to work for companies that spend billons on demeaning ads. One of them is Carol Stoudt, who founded the family-owned brewery that bears her name. 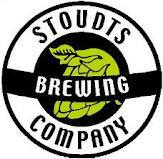 Launched in 1987 in Pennsylvania, its success marks Stoudt not only as a pioneering female brewer, but also as a craft-beer pioneer in general. At the time small brewers struggled to get retailers and bars even to carry their products. It was doubly hard for Stoudt, who says potential clients figured she was just shilling for her husband, because she was a woman. “People thought ‘why is Ed’s wife out peddling his beer?’ ” she remembers.